One important constraint of PV solar design is maximum allowable voltage drop for both DC and AC circuits. These limits, which are often given in percentage points, are usually dictated by the energy model used for the project, or are based on best industry practices and are among crucial design requirements as they represent a cap on lost energy in the category of resistive losses. This article is about the development of a visual tool that allows verification of conformance to the voltage drop limits quickly and by inspection, alleviating the need for performing detailed measurement of each conductor. For clarity of presentation, I will focus in this article on DC voltage drop in string wires that connect strings of modules to one or more string inverters. However the same principle can be applied just as easily to central inverters and their associated combiner boxes, as well as to AC voltage drop assessments. Consider a string inverter and its associated strings of modules forming an array. Having chosen the wire size for the strings, and given the rated current and voltage of each string, the designer can determine the maximum allowable string length for the given limiting voltage drop using Ohm’s law. Let’s assume for demonstration purposes that the design is calling for a maximum of 0.75% string voltage drop and that this has resulted in maximum allowable string length of 225 feet for a particular project. 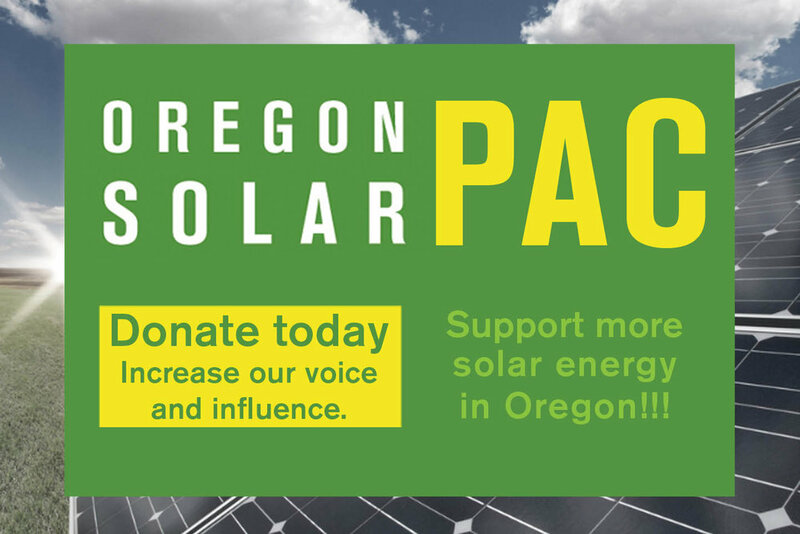 Our goal here is to develop a tool to allow the designer to quickly check and see if placement of the inverter at a particular point within its array will not violate the maximum string length. Conversely, the same argument presented here can be used to help the designer chose the array boundaries around the inverter in a way that this maximum string length is not violated. If it were a common practice to connect homerun strings to inverters radially, then the goal of this article, summarized in the above paragraph could be achieved by simply drawing a circle of radius of maximum string length, centered on the inverter. This circle would then determine the outer limit of placement of strings of modules in the array, and would serve as a design guide in limiting the voltage drop to the desired level. However, radial runs are not the norm in laying conductors in solar farms, and the common practice is to run conductors, including the string conductors along paths that are parallel to and perpendicular to module rows (I will call these two directions the principal directions for the purpose of this discussion). Given this conductor path, the question I propose is, “is there a simple shape that can replace the above described circle which can be used to quickly check on voltage drop compliance of an array?” The answer is: “there is such a simple shape, and it happens to be the square that is inscribed in the above circle, oriented such that each of its diagonals are parallel to one or the other of the two principal directions. Figure 1 below shows such a square for the case where maximum string length is determined to be 225 feet as in our example. Assuming that the inverter is located at the origin of the coordinate system, and taking any point on this square such as point A in the figure, a little geometry shows that the sum of the x and y distances (ignoring their sign, and just adding their absolute values), is the constant 225 feet regardless of location of point A on the square. Quantities x and y are of course the horizontal and vertical distances of point A from the origin respectively. Assuming that point A represents the location of a string of modules then the sum (x + y) is the length of the string from that point to the inverter which will be 225 feet in this example for any point on the square. All points that are inside the square represent string lengths of less than 225 feet and those that are outside the square represent string lengths that are greater than 225 feet. It is clear from this argument that the square in Figure 1 represents the boundary between areas of the array with voltage drops below and above 0.75% in this example. The voltage drop square can be used in two principal ways. If an array of modules is already laid out for an inverter (or for a cluster of inverters), with its boundaries drawn, then one can move the square around in a way that keeps the entire array within the square’s boundaries to determine what locations corresponding to square’s center are good candidates for placement of the inverter, or cluster of inverters. On the other hand, if the location of inverter (or cluster of inverters) is already fixed in the field, then all that is needed is to place the center of the voltage drop square on the inverter(s) and then lay out the array boundaries in such a way that all of the array falls inside the square. Figure 2 shows the application of the Voltage Drop Square to finding suitable locations for a cluster of 6 string inverters with the constraint of keeping string voltage drops below 0.75%. The choice of location for inverters shown in this figure ensures that the voltage drops are below 0.75% for all strings of the array. Figure 3 on the other hand shows the same array as Figure 2, with a choice of location for the cluster of inverters for which some of the strings will be in violation of the 0.75% voltage drop limit. Figure 4 is representative of a situation in which a cluster of string inverters has been placed in a large solar field and the design engineer’s next step is to select an array of strings for the cluster of inverters. In this situation, centering the voltage drop square on the inverters allows the designer to pick an appropriate group of strings to form the array for this cluster of inverters, without violating the design maximum voltage drop requirement by staying within the boundaries of the square. 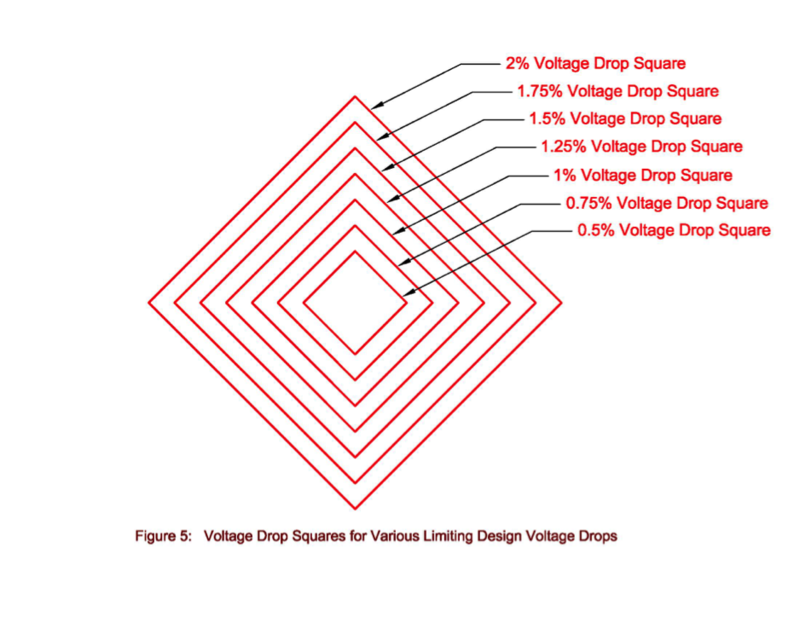 Figure 5 shows a set of concentric voltage drop squares that are labeled with their associated voltage drop limits. A tool similar to this one can be used to assess the maximum voltage drop that is present in an existing array and with a given inverter location within that array. In summary, using a simple geometric tool, such as the voltage drop square described in this article can speed up the task of partitioning a large solar field into individual arrays with the certainty that the string voltage drops are within specifications of the design. The square is built with one of its diameters parallel to module racking rows. The measure of the diameters of the square will need to be twice the maximum allowable length of the strings, making its sides 1.414 times the string lengths. A similar tool can be used to help in placement of combiner boxes for central inverters, or AC panelboards with respect to the central switchboard in the solar filed, as long as the maximum one-way conductor length is known. The process described here is most easily done within a CAD layout of the project, as it is quite easy to draw and orient the voltage drop square precisely, and convenient to move it around the layout while visually assessing the effects of its placement on limiting maximum voltage drop for the arrays. Contact Foad Alvandi for supporting material, such as PDF of the figures, etc.